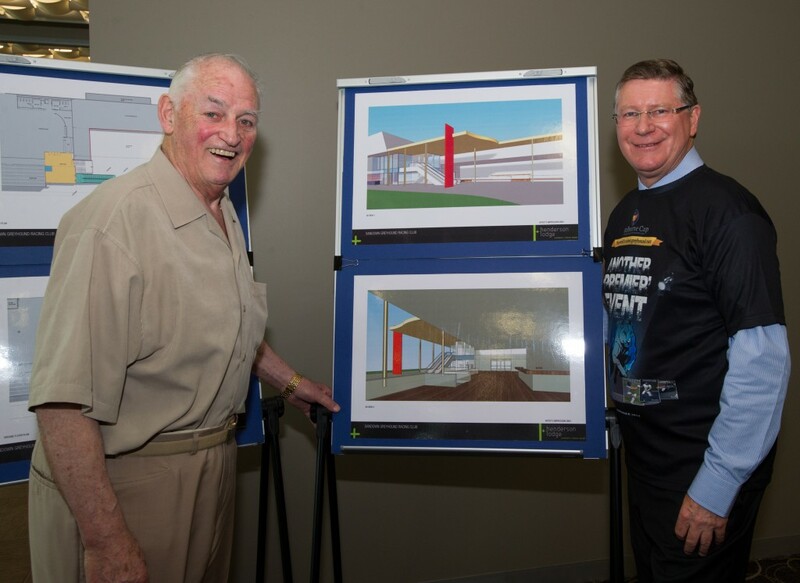 Premier of Victoria and Minister for Racing Denis Napthine has announced a $1.86 million upgrade of patrons’ facilities at Sandown Park. Dr Napthine said Sandown Park was vital to the ongoing success of Victorian greyhound racing and the upgrades would improve the experience for patrons at the iconic venue. · the conversion of the old betting ring into a new and inviting outdoor space with timber decking. “Sandown Park does an excellent job in providing first class racing including the world’s richest greyhound race, the $600,000 Melbourne Cup on 21 November, and this project will take it to a whole new level in terms of raceday comfort and convenience. “Over past two years, on-course attendance at greyhound racing in Victoria has increased by 18 per cent giving rise to the need for enhanced patron facilities at greyhound tracks. “In recent years with the assistance of the Coalition Government, we have seen new pavilions at Geelong, Ballarat and Bendigo, while major upgrades to facilities have occurred at Shepparton and Cranbourne. A new pavilion is currently being built at Traralgon and an expansion of the grandstand and al fresco deck at the Meadows is also underway. “Up to 10 construction jobs will be created by the project with more casual employees required to cater for increased raceday and event demand. Greyhound Racing Victoria (GRV) Chief Executive Adam Wallish said one of GRV’s major objectives is to enhance the experience of racegoers. “Greyhound racing has been experiencing a surge in crowd numbers over the past few years and with the enhancement of our facilities at major tracks this trend will continue,” Mr Wallish said. 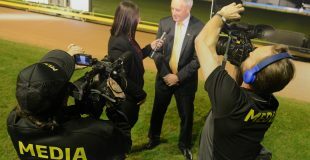 Chairman of the Sandown Greyhound Racing Club Geoff Dawson said the funding was integral for the project to go ahead. “The funding is critical to the realisation of this project as the grandstand is fundamental to our business, in particular how we want the club to be presented on both race days and non-race days,” Mr Dawson said. The overall project cost is $1,859,579, with an investment of $750,000 from the Government’s Victorian Racing Industry Fund and contributions of $870,519 from Greyhound Racing Victoria and $239,000 from the Sandown Greyhound Racing Club. Dr Napthine also announced a funding boost for Sandown’s very successful ‘Club Challenge Series’, to be held throughout 2014-15. “The Club Challenge Series provides sporting clubs with an opportunity to experience a social day out at the Sandown greyhounds and a chance to raise funds for their clubs. “Already 325 sporting clubs and organisations and have taken part in the series over the last three years. In 2011-2012, the initial series attracted 61 clubs and more than 1,500 people while last year, 115 clubs were represented with total attendance of 3,800. “Up to 160 clubs are expected to take part in the 2014-15 series running through both the Summer and Winter. The government is providing $84,200 from its Raceday Attraction Program with the SGRC contributing $130,400 towards one of Victorian greyhound racing’s most popular raceday innovations.